As poachers continue to diminish the population of elephants across the world at a dangerous rate, scientists at Harvard University have begun drafting plans to create a hybrid elephant mammoth that has no tusks in an effort to make them essentially worthless to ivory hunters. The goal of this project is to stop ivory poaching by introducing a new species of elephant that poachers will have no real reason to kill. 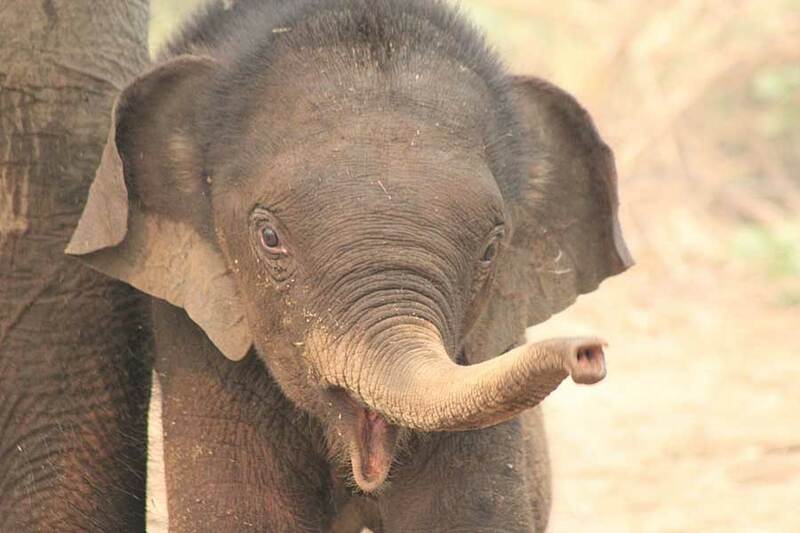 The project will start with the creation of an artificial womb that will grow the new elephant species. By combining ancient mammoth genes, which have been perfectly preserved in the Arctic for millions of years, with modern elephant genes, this new species of a no tusk or short tusk variety could have a greater chance of survival. Furthermore, the plan for these hybrid elephant mammoths is that they will be hardy enough to be able to survive in the boreal tundras of North America and Eurasia. One reason for this location idea is to re-introduce large mammals to the Arctic tundra regions so that they can resume the gradual breaking down of the land’s thick layers of snow and ice that hold a myriad of whole organic materials. As the Earth’s temperature continues to rise, the Arctic permafrost with continue to see gradual melting which will release these organic materials to the air once more, resulting in a large carbon emission that will increase the dangerous greenhouse gases that are damaging the Earth’s atmosphere. These hybrid elephant mammoths are also meant to hopefully help stimulate the endangered Asian elephant’s population by introducing a species of elephant that is similar enough genetically to reproduce with non-genetically engineered elephants. Further, since these new elephant mammoths will be instilled with a tendency for smaller tusks or no tusks at all, that genetic component will be added into the Asian elephant population overall and hopefully help create future generations of elephant hybrids that will not appeal to ivory poachers. This research is led by Professor George Church who is a world-renowned geneticist and has spent over a decade with his genetics team blueprinting the mammoth genes found in the Artic. Today, Church and his team have mapped 44 genes that are unique to the ancient mammoth. These genes have characteristics such as a long, furry coat and a high degree of frost and cold resistance. It is Church’s idea to implement these traits into his hybrid elephant mammoth to make the new species just as hardy.